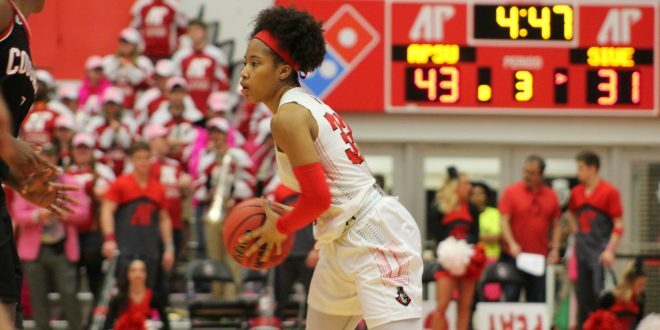 APSU Women’s Basketball earned their sixth Ohio Valley Conference win of the season behind a 77-65 victory on Thursday, Feb. 7. 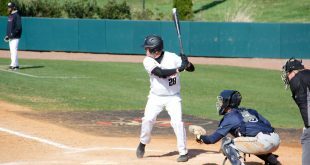 The Govs (11-11, 6-5) bested their guests, SIU Edwardsville (10-12, 5-6 OVC), a team that they lost to three weeks ago. The Govs set the tone out of the gate behind a strong first quarter. APSU hit three 3-pointers in the opening frame to create the difference, one they would build on throughout the first half. “I think as a whole we made shots and made the right passes when necessary,” Ari Gonzalez-Varvner said. However, it was APSU’s defense that controlled the Cougars. At the mid-point, APSU found themselves on the right side of a 33-16 lead. 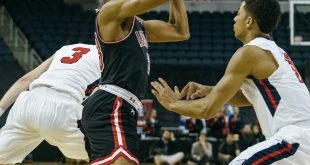 Midlick’s side slowed SIUE to a 31.8 percent shooting mark in the opening half, when the two sides met on Jan. 17, SIUE had 41 points to start the game and were shooting nearly 60 percent. The Govs pushed SIUE into 9 first-half turnovers and limited ball movement to only three assists. Ari Gonzalez-Varner controlled the paint for APSU with five defensive rebounds. “We worked on defensive in practice a lot. We are a good defensive team, we just have to get down and do it,” Nieja Crawford said. Coming out of the break, SIUE found their offensive spark. In the third quarter, SIUE hit 50 percent of their shots from the floor and cut the score within nine, it was 19 earlier in the quarter. SIUE’s offensive surge came from the bench, the guest outscored APSU 42-22 off the bench. Micah Jones and Christen King led the Cougars scoring with 17 and 14 points respectively. Four Govs finished in the double figures mark, Crawford and Gonzalez-Varner played a heavy role in setting the earlier tone and finished with 13 points each. Brandi Ferby also had 13 points. Keisha Gregory, who finished with 12, did the late damage with nine points in the final 5:40 of play. The Govs will stay on their court for Saturday’s contest with Eastern Illinois. “They have an interesting defense and we will focus in on breaking that down,” Gonzalez-Varner said. Tip-off is scheduled for 1:30 p.m. at the Dunn Center on Saturday, Feb. 9.